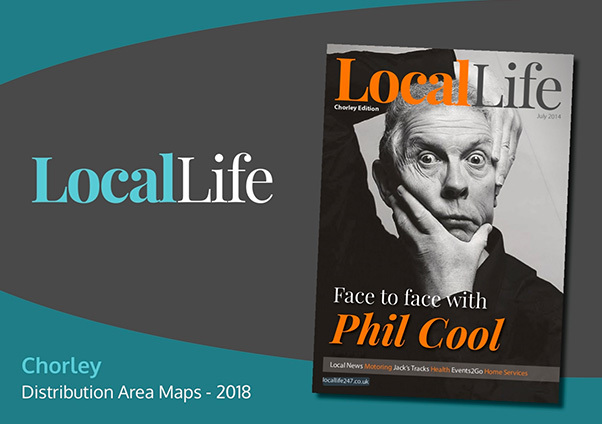 Local Life is hand-delivered to 26,400 Chorley homes, almost 9,000 more homes than the Chorley Citizen (17,462 VFD Jan-Dec 2017), and a staggering 20,000+ more homes than any other free magazine. 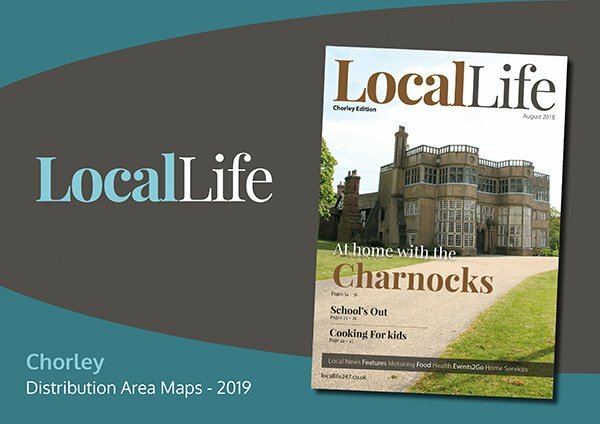 Our Chorley magazine is published every month, and is delivered on alternate months to the Chorley and Chorley North distribution areas (details below). In addition to Chorley itself, we deliver to Wheelton, Eccleston, Buckshaw, Croston, Heapey, Euxton, Brinscall, Heskin, Withnell, Heath Charnock, Knowley, Charnock Richard, Whittle-le-Woods, Coppull and Clayton-le-Woods. For a postcode sector summary of our distribution area, see the details below. To see a more comprehensive picture of exactly where we deliver to in the Chorley area, click on the illustrated Chorley Distribution Area Maps document on the left. 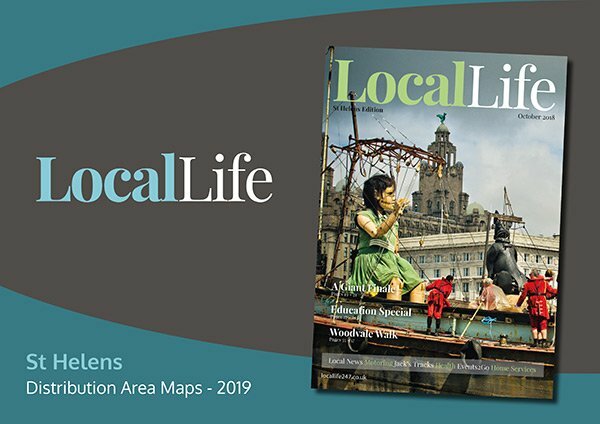 Local Life is hand-delivered to 25,500 homes in St Helens. Our St Helens magazine is published every month, and is delivered on alternate months to the St Helens and St Helens North distribution areas (details below). In addition to St Helens itself, we deliver to Rainhill, Eccleston Park, Rainford, Billinge, Garswood, Windle, Moss Bank, Eccleston, Waterside Village, Laffak, Carr Mill, Haresfinch, Crank, Kings Moss, Rainford Junction, Sutton, Nutgrove, New Bold and the Prescot Road area. For a postcode sector summary of the areas we cover in the St Helens area, see the details below. To see a more comprehensive picture of exactly where we deliver to in the St Helens area, click on the illustrated St Helens Distribution Area Maps document. 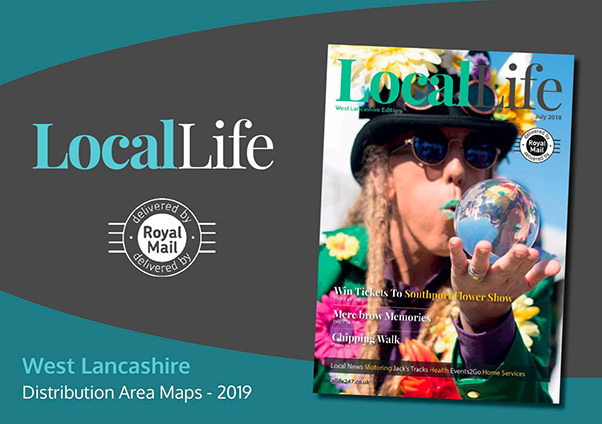 Local Life is hand-delivered via Royal Mail to 26,400 homes in West Lancashire. Our West Lancashire magazine is published every month, and is delivered on alternate months to the Burscough & Villages and Ormskirk & Aughton distribution areas (details below). 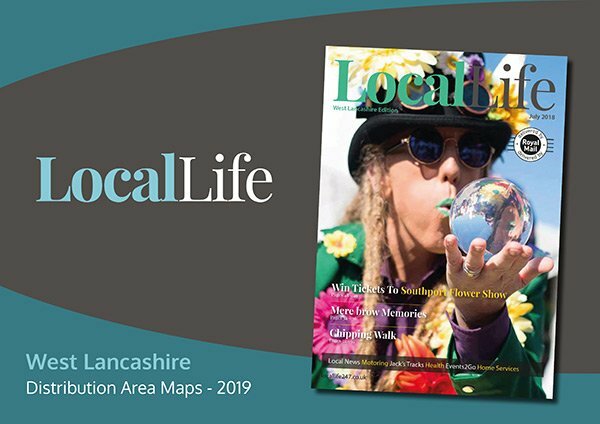 Due to the rural nature of West Lancashire, Local Life is delivered in this area via Royal Mail, which ensures that it has the most comprehensive household coverage of any printed publication within the L39, L40, WN8-7 and PR4-6 areas. 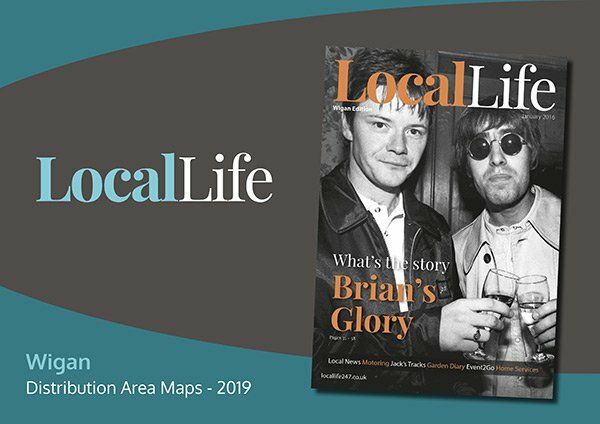 In addition to the main populated areas of Ormskirk, Aughton, Burscough and Tarleton, Local Life is delivered to every single home in Parbold, Newburgh, Dalton, Lathom, Westhead, Hoscar, New Lane, Hesketh Bank, Hundred End, Sollom, Rufford, Holmeswood, Mawdesley, Bispham Green, Downholland, Scarisbrick, Bescar, Pinfold, Halsall, Haskayne, Barton, Bickstaffe and Barrow Nook. 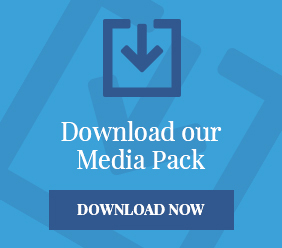 For a postcode sector summary of the areas we cover in the West Lancashire area, see the details below or click on the illustrated West Lancashire Distribution Area Maps document on the left. Once a thriving centre for coal and cotton, today’s Wigan is an increasingly attractive and growing town that’s just minutes away from glorious Lancashire countryside. Located between Manchester and Liverpool, with impressive road and rail links, the town is a popular choice for commuters. Heritage is an important part of Wigan life, the town has 216 listed buildings. Redevelopment of the town continues apace and the Wigan town centre regeneration plan is a £60 million scheme that will transform the town centre into an exciting and vibrant shopping and leisure attraction. You can’t mention Wigan without referring to its sporting prowess. Its rugby league team, Wigan Warriors, is amongst the most famous in the world, while Wigan Athletic Football Club won the FA Cup in 2013. For a postcode sector summary of the areas we cover in the Wigan area, see the details below. To see a more comprehensive picture of exactly where we deliver to in the Wigan area, click on the illustrated Wigan Distribution Area Maps document. For a closer look at our distribution coverage choose from one of the areas below.